CONFUSION surrounds the long-awaited electrification of the Lakes Line – as a new report could delay work until 2024. The line, connecting Windermere with the West Coast main line at Oxenholme, had been due to be electrified by 2017. Now, a document called the Hendy Review has prompted an announcement from Government that work will be pushed back to ‘Control Period 6’, meaning electrification will not be finished until between 2019-2024. 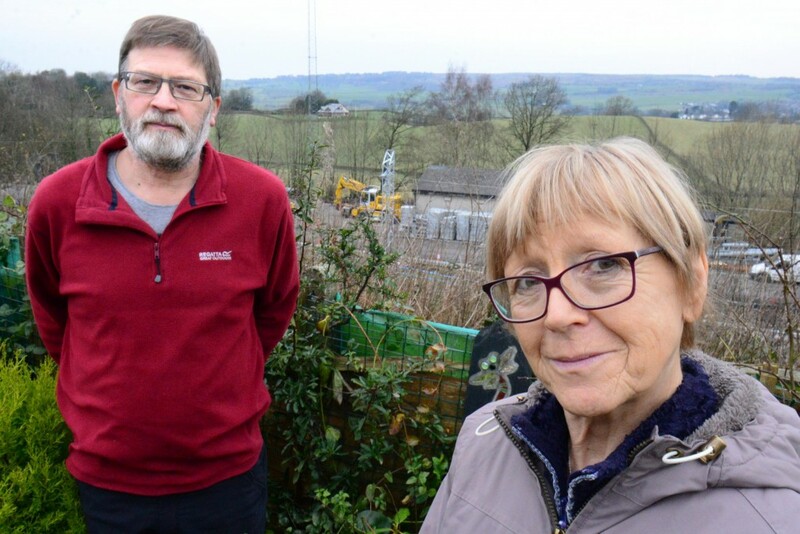 But a Kendal-based train enthusiast has cast doubt over the announcement, saying that the decision has been made based on incorrect information. 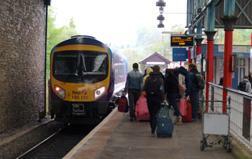 Malcolm Conway, chairman of TravelWatch North West, said that the Hendy Review puts the Lakes Line in the same bracket as other railway lines, such as the Bolton to Wigan service, where electrification work has not yet begun. 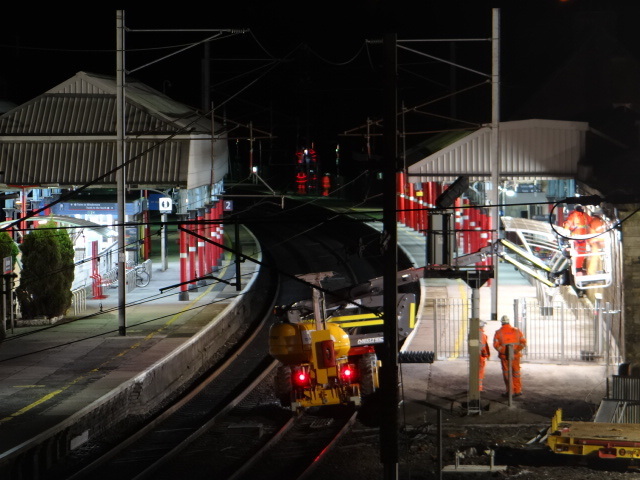 But Mr Conway says work has started at Oxenholme, with more scheduled for April and May 2016, according to the Network Rail electrification timetable. He feels it is unlikely that if those behind the Hendy Review knew about this they would be happy to allow the work already conducted to lay idle for what could be close to a decade. TravelWatch NW is attending a meeting in Manchester on February 18 with Network Rail to discuss the issue. The electrification of the Lakes Line was initially agreed during the previous coalition government, when Liberal Democrat Transport Minister Baroness Kramer announced a £16m investment package in the rail network. 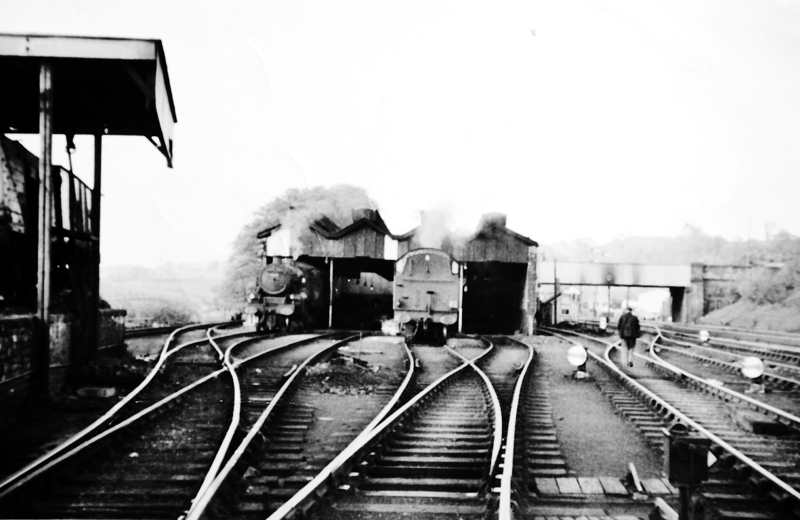 Fifty two years ago Oxenholme Engine Shed – or Locomotive Depot to give it its official title – closed. It was a very minor event in the great scheme of things, but very significant for the small railway community for whom the shed was a major source of employment for over 100 years. In the days of steam locomotion engine sheds of various sizes existed in large numbers across the country. Steam engines, though glamorous and characterful, were notoriously difficult to maintain, and the railway industry was extremely labour intensive. Oxenholme was a small shed of only four roads with a nearby turntable and water and coaling plants, dwarfed by the larger sheds which provided giant locomotives to pull the major inter city expresses. Nonetheless it employed 120 men in its heyday and could stable up to 13 locomotives, and as late as 1962 still employed 50 staff and 12 engines. Its primary purpose was as a banking depot to assist the climb up Grayrigg bank of heavy goods and passenger trains (Shap summit was covered by the shed at Tebay). A driver requiring assistance would indicate on arrival at Oxenholme and the ‘banker’ would dutifully push the giant train as far as Grayrigg and return light engine. Bank engines were available 24 hours every day and duty shifts would begin at 06.00. 14.00 and 22.00. Shed personnel would work shifts on a three weekly basis. As well as the bank duties, local trains to Windermere, Morecambe and Penrith were operated from Oxenholme depot, making it a very busy place indeed. Staff consisted of a Shed Master and his deputy, drivers, passed firemen, firemen and cleaners; at one time there were knockers up, who walked through the village tapping on upstairs windows with a large pole to wake up the early shift. The village itself was largely a creation of the railway, and the railway company provided tied cottages for its workers initially at the Station Cottages, but later at Helmside, Natland Terrace and Hill Place. The Bolefoot estate, built in 1921 was, initially, occupied almost exclusively by railway men and their families, who ensured a lively spirit of community flourished at all times. By 1962 dieselisation of British Railways was well advanced and the days of small banking sheds such as Oxenholme were coming to an end. Steam still had a few years to run, and personnel were offered transfers to other depots. A small number of older staff were maintained until the end of steam locomotion in 1968. The shed was demolished in 1965 and with its extinction went a way of life for railway families which had endured for several generations and provided lifelong employment and security for railway men and their families. OXENHOLME railway station is to benefit from thousands of pounds of improvements in the New Year. Tim Farron MP says the station will be developed to see a new cafe on platform 1 of the southbound-side. Mr Farron said he met with directors from Virgin and the general manager of the West Coast Main Line and pressed the case for investment. The cafe provider has not yet been announced, but Mr Farron said it will be based in the old oil stores – described as an under-utilised Victorian room. Other features will include better provision for cyclists and improved signage. Train operators Virgin have confirmed the new improvements. They also include fitting and installing new automatic doors in the booking hall and waiting room on platform one. The existing ticket machine and replaced with two new ‘Fast Ticket’ machines. Waiting customers will also benefit from new Wifi zones. A new customer information screen will go in the subway for customers arriving from the Windermere branch line. There will also be heating in the booking hall for customers waiting and ‘more visible’ customer service points. There are hopes the toilets and waiting rooms will also be ‘refreshed’ and new hand rails for the subway. There have also been calls for the canopy on platforms two and three to be extended to help passengers avoid the rain and for more information stands for local tourist attractions. A DOG owner whose out-of-control Staffordshire bull terrier caused “life changing” injuries to a pub landlady has avoided jail. Gary Edward Moss, 43, of. Bleaswood Road, Oxenholme, was sentenced to a curfew and ordered to pay almost £2,000 when he appeared at Carlisle Crown Court yesterday. Michelle Hipwell, who runs the Station Inn at Oxenholme, was mauled by one of Moss’s two terriers in an attack that left her dog bleeding and her in need to hospital treatment. Brendan Burke, prosecuting, said the landlady spent almost a week at the Royal Preston Hospital and started recovery after five weeks following the attack on The Helm at 7.05am on August 8. 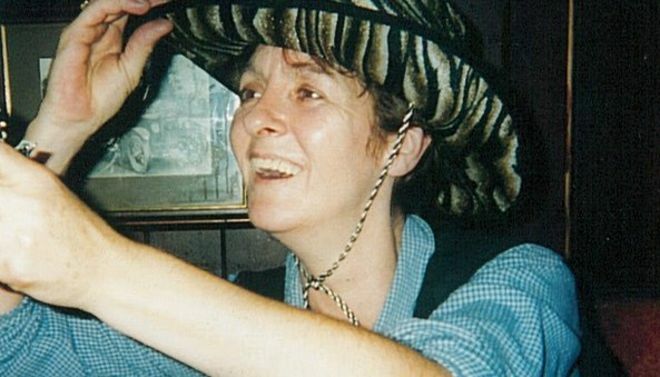 The court heard Mrs Hipwell had been walking her two dogs on the lead when Moss’s white Staffordshire bull terrier came at her and bit one if her dogs on the ear, followed by the defendant’s black Staffordshire bull terrier Jack which bit and ripped at the fur of her other dog. “The complainant had to prise the white dog’s jaws open from her dog’s neck and then it but her hand,” said Mr Burke. In a victim statement Mrs Hipwell said she is now nervous about going out with her dog, has been unable to work and has had to rely on family members to carry out ever day tasks. In mitigation David Birrell said Moss was a man of good character and had owned dogs for 20 years. The defendant, who pleaded guilty to being the owner of a dog dangerously out of control and being owner of a dangerously out of control dog which caused injury, had his white dog Rumble put down and said he now keeps a muzzle on his other dog at all times. Moss was ordered to pay £1,500 compensation to Mrs Hipwell and £340 to cover the cost of vets bills. “It is apparent from these photographs that this figure I’m ordering is the very minimum and she’s probably entitled to significantly more,” added judge Hughes. Moss was also handed a community order with one condition of a 12 week curfew from 8pm-6am. 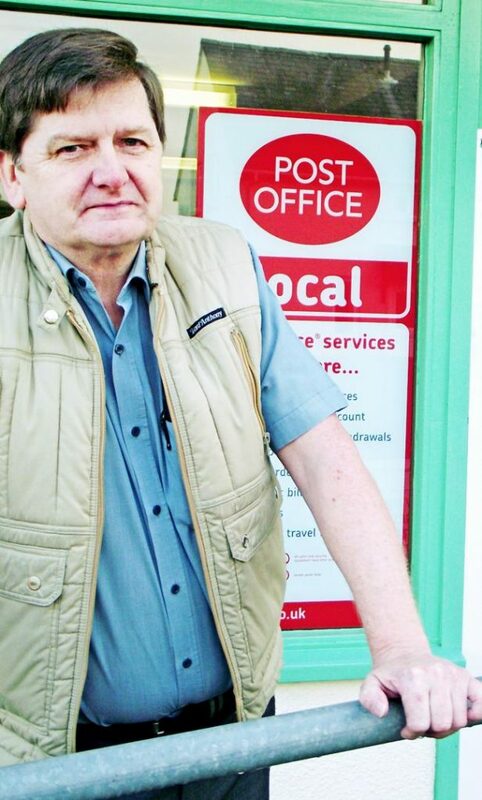 Oxenholme’s only shop and post office is up for sale after its owner decided he could no longer afford to cover its losses. Bill Riddell, 63, ploughed thousands of pounds of retirement savings into Oxenholme Stores but says not enough customers use it. He has now taken up another job and daughter Dawn is running the Helmside Road business until it sells. Mr Riddell re-opened the shop in March 2010 after it been closed for more than a year and re-introduced a vital Post Office service. As well as pensions, letters and parcel postage, he introduced cash withdrawal and bank deposit facilities to encourage shoppers. The time-served joiner said the shop’s stock is reducing as he cannot afford to continue filling shelves as before. During their time, the father and daughter team tried new initiatives like hot pies, the National Lottery and over-the-counter Euros as well as stocking old corner shop necessities like safety pins, cotton reels, pegs and puncture repair kits. During the heavy snows and icy conditions of recent winters, Mr Riddell doorstep delivered to many of Oxenholme’s elderly residents when bus services stopped running and village roads and pavements were covered by drifts or sheet ice. Commercial sales company, Hilton Smythe, described the shop as “the hub of the community” and said the leasehold business has seven years remaining on the 10-year-lease with rent at £14,500-a-year reviewed annually. Oxenholme is also served by a Texaco garage. 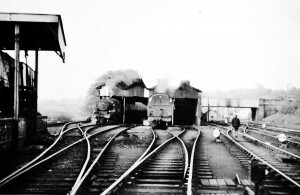 From 1846 until 1968, steam locomotives were stationed at the Oxenholme Shed, to assist trains up the bank to Grayrigg. This photograph features the last steam engine to perform this duty on May 4, 1968. The engine was a British Rail Standard Class 5. 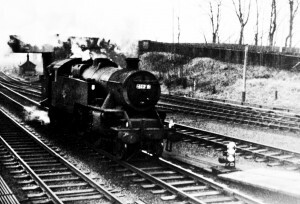 A heavy-laden train coming down from London often stopped at Oxenholme for a locomotive from the shed to be run to the rear of the train to help it up Grayrigg Bank. 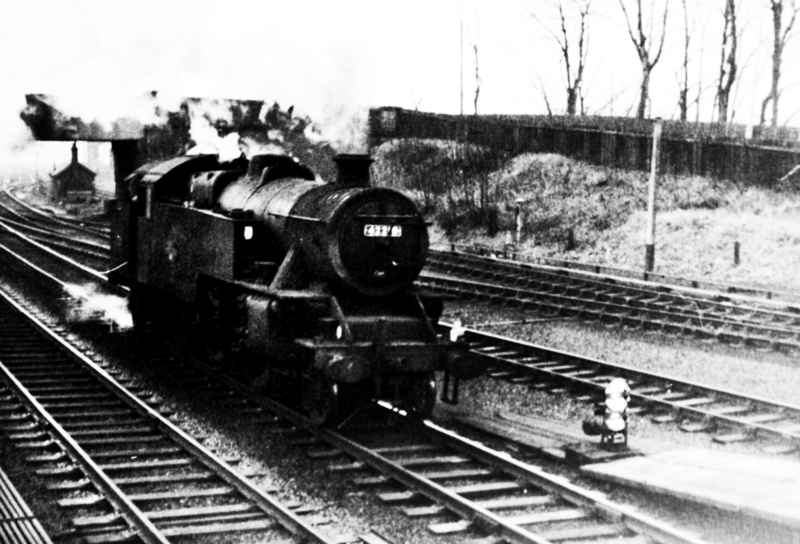 A whistle signal was given on the approach to Oxenholme Station to alert the staff for the need for a ‘banking’ engine. Once up Grayrigg Bank the banker would then return to Oxenholme to await its next job. Engines to help the train go over Shap Fell were situated at Tebay Junction. 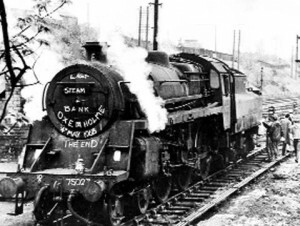 The last steam engine withdrawn from service on British Rail was in August 1968.